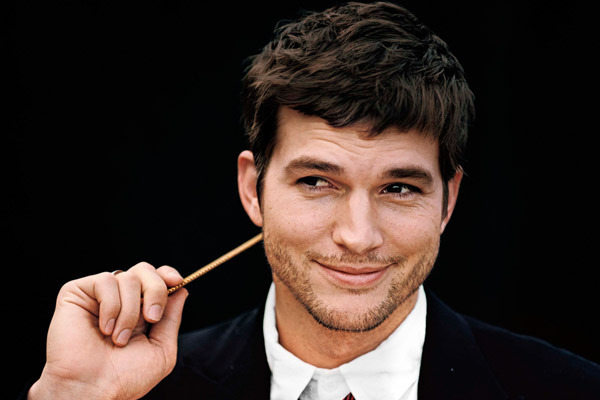 Is Kutcher Replacing Sheen in “Two And A Half Men”? Recently, Access Hollywood reported that Ashton Kutcher got a part in the famous series “Two And A half Men” airing on CBS. Could he be replacing veteran of the show, Charlie Sheen? According to The Hollywood Reporter, two sources have claimed that Kutcher is finalizing a deal to join the show. Although he is not allowed to say anything yet about the matter, Ashton found a way to sneak out some information, confirming in a more subtle manner his implication in the series. On Thursday night he left a message on his Twitter page saying “what’s the square root of 6.25?”. If you have a mathematician’s brain you already figured out the answer. If not, grab a calculator. Either way, the answer found will be 2.5. Access Hollywood contacted CBS and asked more information about the possible “new arrival”, but the representatives had no comments. The production company that makes the show, Warner Bros. was also contacted about the speculation and again, there were no answers. Then, Access Hollywood tried to contact Charlie Sheen. His representative was as empiric as the television channel and the production company. Nobosy says anything yet. Recent sources have unveiled that there was another big actor invited to join the series. We will give you some hints: English accent, stylish, blue eyes, funny. Did you guess? It’s Hugh Grant. Unfortunately, he didn’t think it was the kind of show that would benefit his image or who know what reasons he had to turn down the offer, taking into account that he was offered a huge sum of money to join the cast of “Two And A Half Men”. If Ashton Kutcher is going to join the team of 2.5, it is not clear whether he is going to just replace Charlie Sheen’s character or if he will be someone new. The Hollywood Reporter magazine states that the creator of the show, Chuck Lorre, has already written a storyline for the handsome former “Punk’d” star. Ringside Report says that a source that didn’t want to be mentioned contacted them and told them that Charlie Sheen is not very happy about losing his job to Kutcher. CBS and Warner Bros. are facing a two edged sword: Two And A Half Me was known as Charlie Sheen’s show. Will Kutcher be good enough for the audience? The public can either love him or hate him to death. Good thing, Kutcher is pretty funny and talented himself.